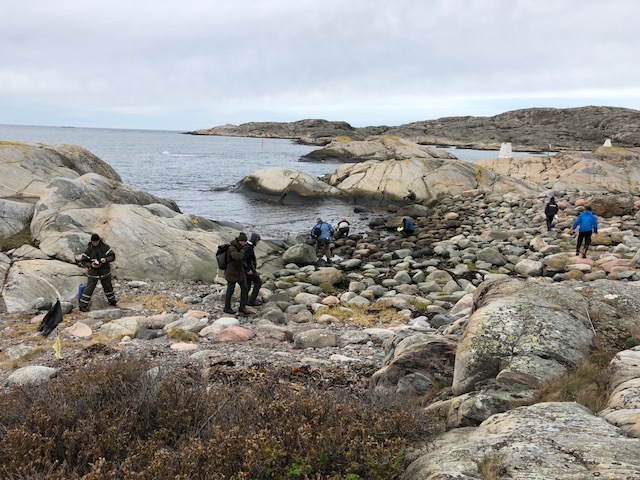 For our recent trip to the island of Tjorn, on the west coast of Sweden we partnered with Torbjörn Selin from All in Nature Sweden for an incredible weekend of coastal survival skills. 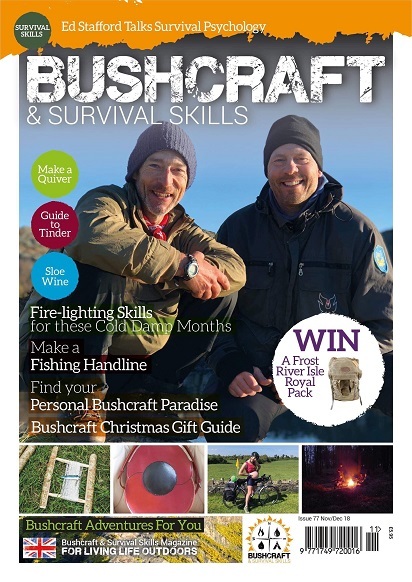 A full article covering this trip is in the Nov/Dec issue of the Bushcraft and Survival Skills magazine, thanks to Olivia Beardsmore who joined us for the adventure. 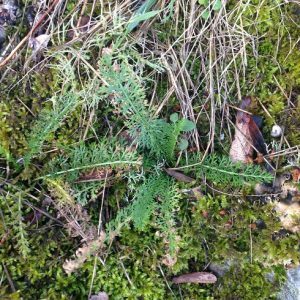 One thing that’s great about gathering plant knowledge is that when you travel abroad, you can often find the same or similar plants as back home. On our trip to this remote and beautiful isle we found a mix of familiar and new plants. 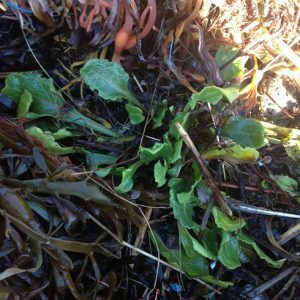 Coastal foraging for food and first aid! Spotting the yarrow and the plantain in the grass amongst the heather made us feel immediately at home, and reassured us that medicine was there should we need it. Wild cranberries (Vaccinium sp) growing in the boggy hollows were a novel sight to see. We don’t get these on the west coast of England. Cranberry juice is well known as a cure for urinary tract infections as it prevents E. Coli from clinging to the bladder walls. 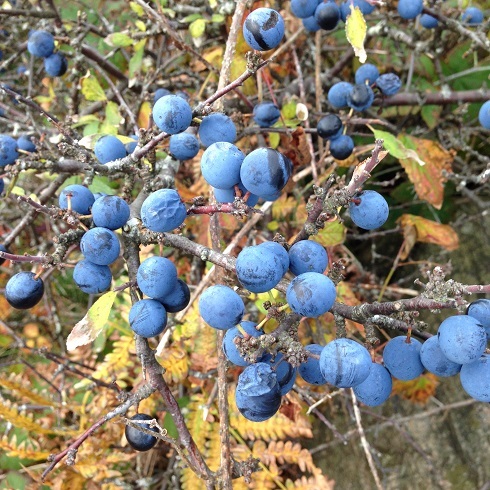 All around the coast the familiar sloes of the blackthorn tree (Prunus spinosa) were abundant. These were sweeter than those back home and were boiled up into drinks. 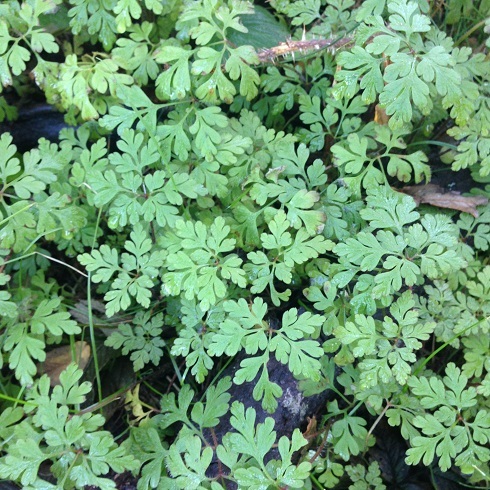 Herb Robert (Geranium robertianum) was a relief to find as a few of us had seen ticks on our skin. The oils in this plant are a repellant to ticks that carry the debilitating Lyme disease and Borealis protozoa. Sea spinach, or ‘sea beet’ (Beta vulgaris subsp. maritima) was dotted around the area, and gathered considerately by the students to supplement rations. This leafy green is delicious boiled in sea water, which lends it just the right amount of salt. Wild rose hips (Rosa canina) were growing abundantly amongst the rocky outcrops of the island. These are rich in vitamin C, and can be boiled into a soothing tea after removing the irritating hairs from inside the hip. Cold fighter and skin healer, the rose is a tonic for skin and soul. 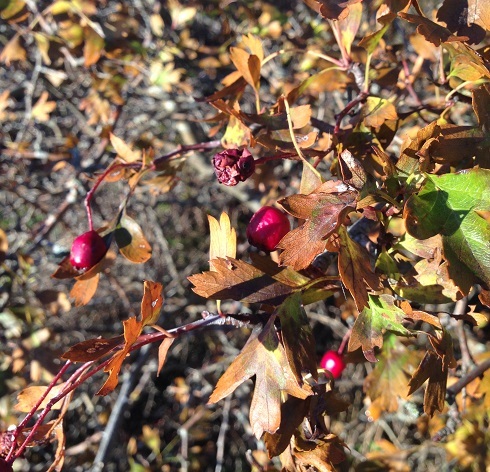 Hawthorn (Crataegus) is a member of the Rose family and has bright red berries. Hawthorn is beneficial for the heart, enhancing circulation and regulating the heart rate. 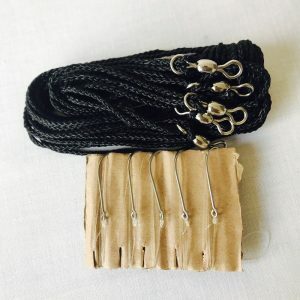 It is also a relaxant, reducing stress on the nervous system. 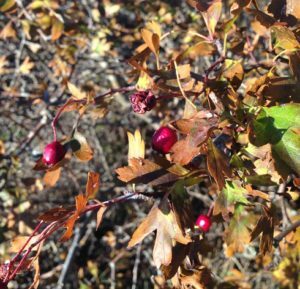 Hawthorn berry tea is a great way to take this medicinal plant, and the leaves and flowers can also be used. 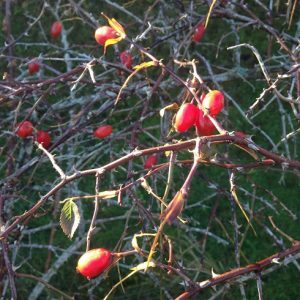 Combined with Rose hips it is an excellent tonic. Ground ivy (Glechoma hederacea) has a leaf shape that when turned over looks like a pair of lungs. 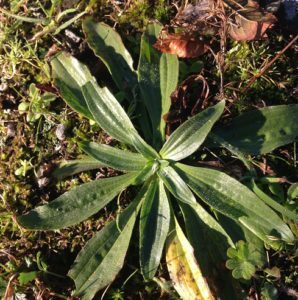 This is a hint to it’s medicinal use as a treatment for respiratory disorders. 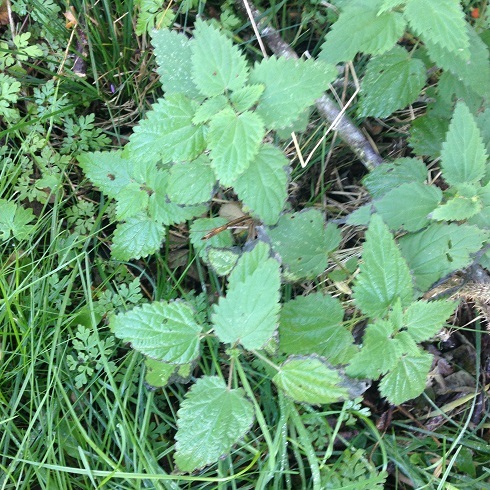 Good old nettles (Urtica dioica) flourish in Sweden. Nettle is rich in iron helping to build the blood and energy. 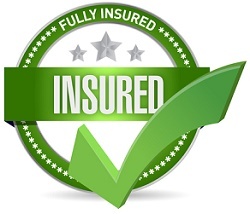 It has also been used to treat allergies and hay fever. 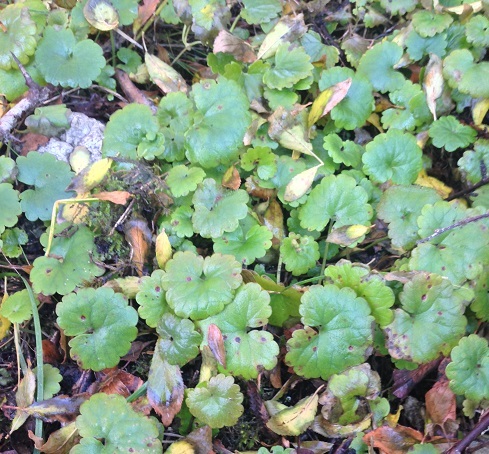 A historical treatment for arthritis was to stimulate the area with the stinging leaves. 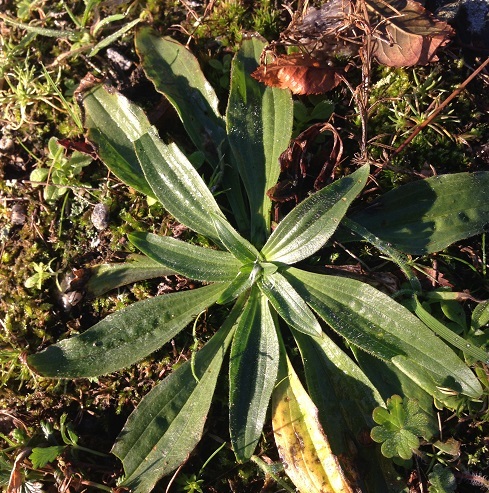 Plantain (Plantago major) is a fantastic medicinal herb. It is excellent for removing toxins from the blood. Tea made from the leaves is used to get relief from colds. It can be used as a poultice to reduce inflammation and heal skin infections. 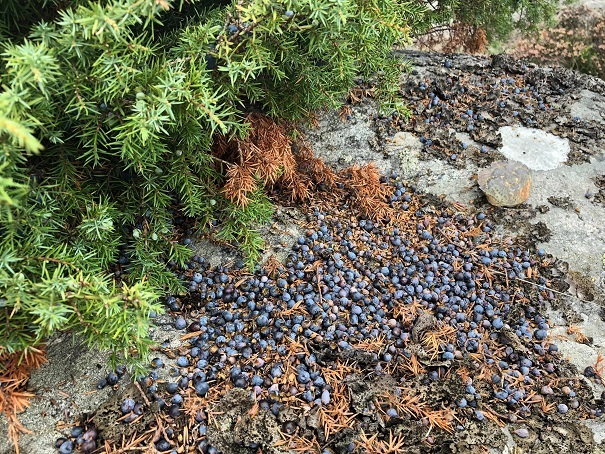 Juniper berries (Juniperus sp.) were carpeting the ground and seemed to thrive amongst the rocky outcrops. 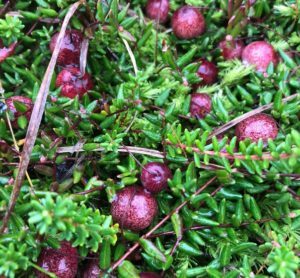 These berries are a useful spice for meat dishes and are the flavouring for gin. Meadowsweet (Spirea ulmaria) is a familiar plant in England and we were pleased to find it also growing in Sweden. This plant has a smell similar to TCP which is a sign of it’s antiseptic properties. It contains similar chemical compounds to aspirin. We felt at home on the stunning Swedish island. There is everything you need to survive. 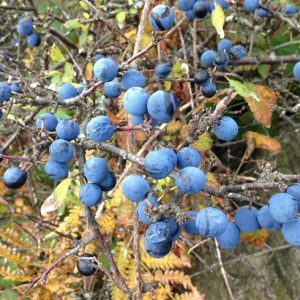 Berries, wild edibles, seafood and birchwood to keep us warm. With plant knowledge to hand, where-ever you are you can feel a deep connection to the land around you! 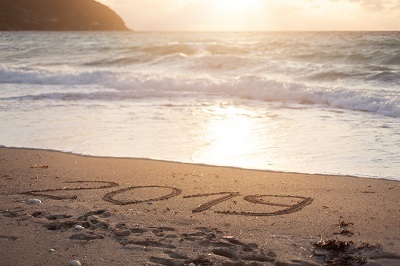 New course dates in 2019 – Book Now! 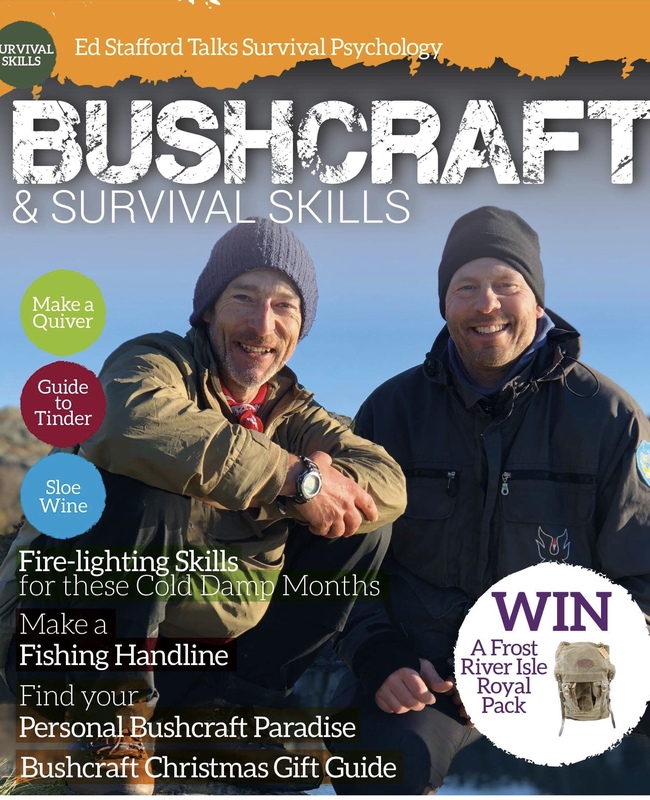 blog, Coastal foraging, Coastal Survival, survival courses. Bookmark.